The words/images are s t r e t c h e d so they will look in proportion when folded. The lines DO NOT tell you how many pages you need for your template, they are to help with the counting. Be sure to go back to my blog post for info on how to calculate the page count. https://scrappystickyinkymess.wordpress.com/folded-book-templates/ has links to two different posts for how to do this. Be careful to count the alternating folds correctly! Here is the PDF for download. The one inside the heart is one that had been requested. As I had it I thought I might as well include it. I think it might work better as a cut & fold, but if you give it a go and it works, be sure to share a photo with me. 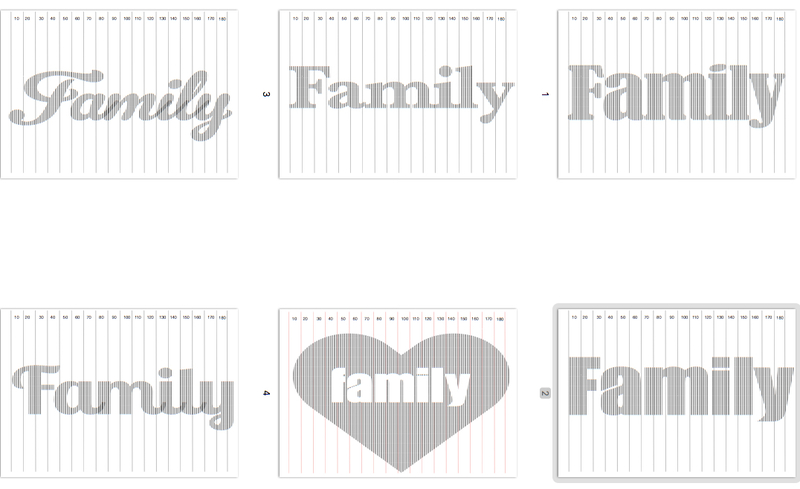 Categories: book folding | Tags: book folding templates | Permalink.